How to use this online search engine? 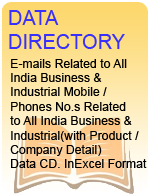 Indian Product Promotion Centre Directory is very easy to use. Insert IPPC CD in your CD ROM drive. The CD contains very simple user interface to Search Products, Companies, Districts, Pin-Code. Company search gives the user option to search a particular Company through the list of Companies in the database. To Search the companies by product just click on the Product search Button on the toolbar above. The Product list will appear on the screen. Select the desired product by typing it in the textbox. The search result will be shown for the complete section of the desired product. To Search the companies by product category just click on the File menu> Search by Product Category. Enter the desired product category in the textbox. The search result will be shown for the complete section of the desired product category. To Search the companies by city just click on the File menu> Search by City. Enter the desired city in the textbox. The Company list will appear on the screen based on the city you entered. The search result will be shown for the complete section of the desired city. To Search the companies by certification just click on the File menu> Search by Certification. Enter the desired certification in the textbox. The Company list will appear on the screen based on the certification you entered. 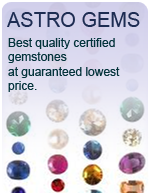 The search result will be shown for the complete section of the desired certification. To Search the companies by contact person just click on the File menu> Search by Contact Person. Enter the desired contact person name (Atleast 3 characters) in the textbox. The Company list will appear on the screen based on the name you have entered. 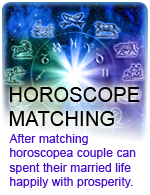 The search result will be shown for the complete section of the desired contact person. To Search the companies by locality just click on the File menu> Search by Locality. Enter the desired locality in the textbox. The Company list will appear on the screen based on the locality you entered. 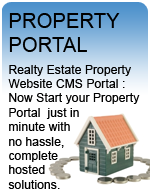 The search result will be shown for the complete section of the desired locality. To Search the companies by pin code just click on the File menu> Search by Pin Code. Enter the desired pin code in the textbox. The Company list will appear on the screen based on the pin code. The search result will be shown for the complete section of the desired pin code. When you have to search any particular product from the Product list you get the result from that product group. This means that there are Companies who are making the affiliated products to the product searched by you. If you want only the Companies, which are making the precise product you have searched then click on the Advance search where you get the list of related products. 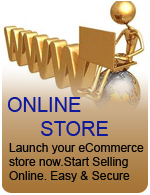 Click on any of the product and you will get the list of Companies who are precisely making that product. When you want to revert back to your original search just close the advance search window. There are several Printing Options available on the IPPC Directory CD. Printing Detail report allows you to Print all the details of the Companies selected.This includes the Company Name, Address, City, State and Business Details etc.To create Detail report select the desired companies form the list of Companies and click on the Print Button.A form will appear, wherein either user can select the fields to be displyed or directly get a print of all the company details in pre-formatted form. The detail report will appear in Print Preview form. Click the Printer icon below on the Preview window to Print the Report. You can create your own Mail merge document by following procedure. Click on the Mail Merge button. A form will appear with the_Printing options and a Text box with a sample letter will appear below the list of Selected companies with sample letter in it. Change the letter as per your requirements. After you finish click on Print Mail merge button . Preview will be shown to the user with details that the entered or selected details. Click the Printer icon below on the Preview window to Print the Report or Mail Merge document for each selected company. Mailing Labels are used when you want to do mailing to many companies. To print Mailing Labels select the desired number of companies from list of Companies. Click on the Print button. Form will be shown to the user, user needs to click Print Mailing Labels Button. Preview will be shown to you of the selected Mailing labels. Depending on the setting of your printer Labels will be either in 8 X 2 format or 8 X 3 Format. Click printer icon on the bottom of the Preview window to print the mailing labels. The program on the CD is designed to send multiple emails to the Companies in the CD Database. You can select the desired number of Companies from the list of Companies. 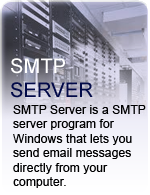 Fill in your User Name and Password for your SMTP server , type the Subject of the Email such as ‘Company Profile of XYZ Company’ in the subject box. Type the desired matter of email in the Letter text box below or copy and paste the matter from some other file. User also has the ability to send an attachment, click on Browse button next to attachment text box. A dialog box will be opened from where user can select the file to be attached. Click on the send email button to send emails. Program will check the connection for the Internet. After confirming that your PC is connected to Internet it will start sending Emails one by one. The progress bar will show you the progress of the Email sending operation.